LOULE, Portugal, Oct. 5, 2018 – The United States advanced to three event finals in trampoline and tumbling’s Loule (Portugal) World Cup, Oct. 5-6. The gymnasts advancing to the finals are: Nicole Ahsinger and Sarah Webster, both of Lafayette, La./Trampoline and Tumbling Express, women’s synchronized trampoline; Kaden Brown of Herriman, Utah/Wasatch Trampoline & Tumbling, men’s tumbling; and Eliza Floisand of Salt Lake City, Utah/Wasatch Trampoline & Tumbling, and Caitlyn Crawford of Reston, Va./Capital Gymnastics National Training Center, women’s tumbling. Held at Loule Municipal Sports Hall, the two-day competition concludes with the finals on Oct. 6, which fans can on the Olympic Channel, home of Team USA, at 5 p.m. ET. In synchronized trampoline, the duo of Ashinger and Webster posted the highest score of the prelims at 85.650. They earned a 39.500 for their first routine, with a 46.150 on the second. Spain’s Cristina Masfret and Cristina Sainz were second with a 85.400 and Russia’s Susana Kochesok and Iana Lebedeva in third (84.100). 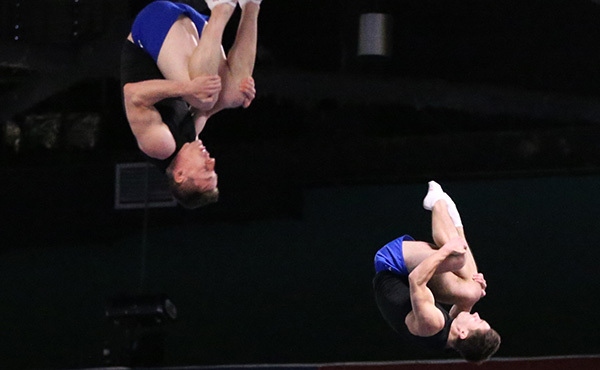 For the men, Isaac Rowley of Allen, Texas/Eagle Gymnastics Academy, and Cody Gesuelli, Huntsville, Ala./Merino Trampoline Gymnastics Academy teamed up for a 90.700, which put them in the second reserve spot for the finals and 11th place. 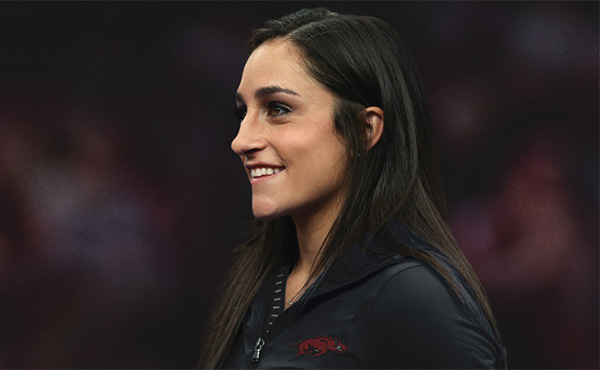 In tumbling, Floisand was third in the prelims at 66.400, on the heels of Portugal’s Raquel Pinto’s 66.700. Belgium’s Tachina Peeters was first at 67.300. Crawford posted a 63.400 for the eighth spot in the finals. 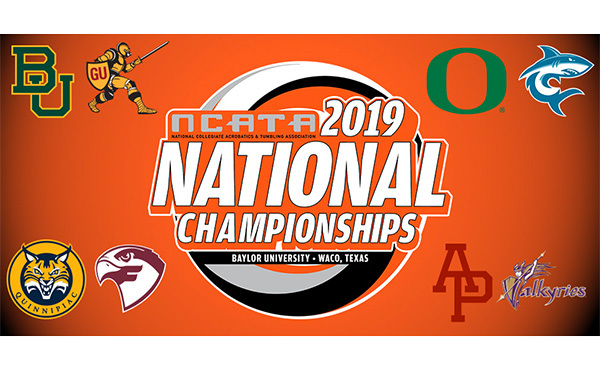 Rachel Thevenot of Metairie, La./Elmwood Gymnastics Academy, was ninth with a 63.300, and Hope Bravo, Dallas, Texas/Eagle Gymnastics Academy, was 16th (57.900). Brown qualified to the men’s tumbling finals by finishing third with a total of 75.200. He was not far behind Russia’s Vadim Afanasev’s 75.400 and Britain’s Kristof Willerton’s 75.300. Alex Renkert of Columbus, Ohio/Integrity Athletics, posted a 68.800 for 10th and is a reserve athlete. 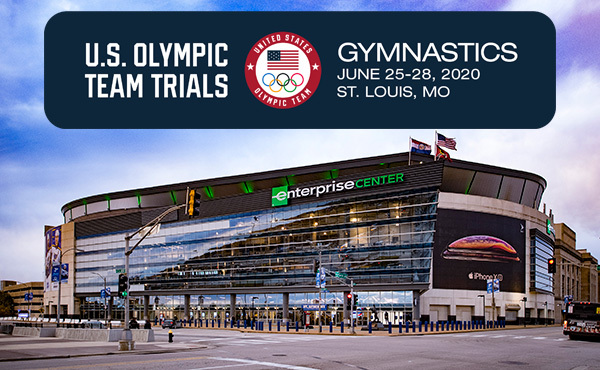 Emilio Lehmer of Tempe, Ariz./North Valley Gymnastics, was 12th at 66.500, and Brandon Krzynefski of Centerville, Va./Capital Gymnastics National Training Center, was 22nd at 59.800. The USA did not advance to the finals in trampoline. 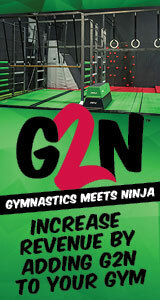 In the men’s competition, Jeffrey Gluckstein, Atlantic Highlands, N.J./Elite Trampoline Academy, withdrew due to an injury during training. Aliaksei Shostak of Youngsville, La./Trampoline and Tumbling Express, had the USA’s top finish at 15th (108.915). Rowley was 22nd (107.100) and Gesuelli earned a 54.465 for 52nd. China’s Gao Lei (114.525) and Dong Dong (112.635) were first and third, respectively, in the prelims with Belarus’ Uladzislau Hancharou coming second with 112.755. 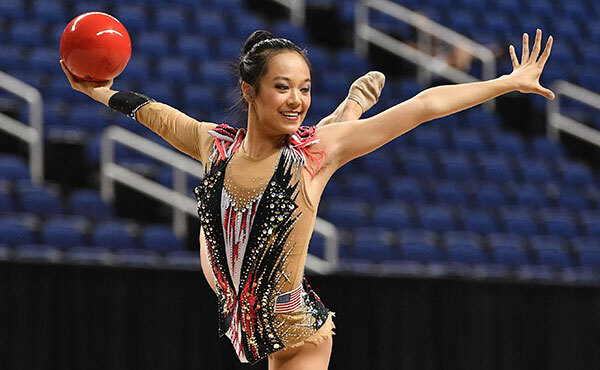 For the women, Jessica Stevens of Ellicott City, Md./Fairland Gymnastics, had the USA’s top score at 73.765, followed by Webster with 62.505 and Ahsinger with 57.715. The top three in the preminiary ranking were China’s Zhu Xueying (106.410), Russia’s Yana Pavolova (105.830) and China’s Liu Lingling (105.260). 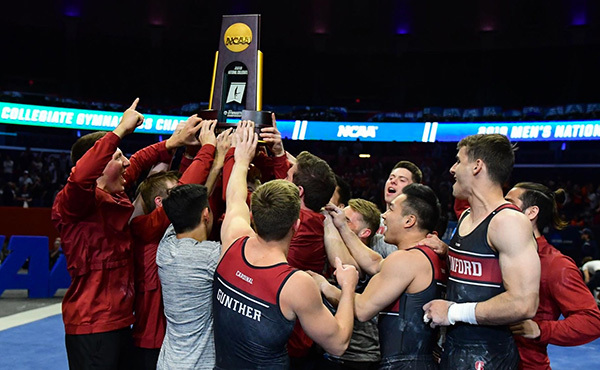 The competition schedule for finals on Oct. 6 is: 3:30 p.m. – men’s and women’s synchronized trampoline, 4:30 p.m. – men’s and women’s tumbling, and 5:30 p.m., men’s and women’s trampoline. Times listed are local to Loule, Portugal, which is five hours ahead of the Eastern time zone. When it is 12 p.m. in Loule, it is 7 a.m. in New York City.